petition: Help us keep the Dragon Nest Europe server open! recipient: Anyone who wishes to support our dedicated player community! Shockingly we received upsetting news that Eyedentity Games, Inc., the South Korean developer of the video game Dragon Nest has refused the extension of their publishing contract with Cherry Credits to further release the game to the European region. Dragon Nest Europe has been open since 2013 and has a loyal and dedicated player community that are about to lose their place and many years of investment of time, progress, and money. 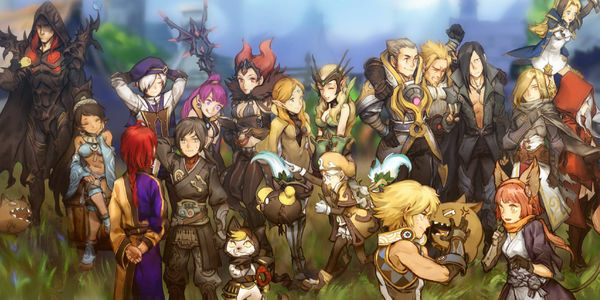 Despite suffering from a heavy server crash in 2016 with the previous publisher which caused a massive data-loss, players remained hopeful for a better future and rebuilt their characters, enjoying the unique gameplay which always keeps them returning, something only offered by Dragon Nest. We look forward to continue our game, seeing new content arrive for the game we love and enjoy. We would like to request Eyedentity to keep our server up and running! Either by extending their contract, publishing our region themselves, as they have with the SEA and NA region as well, or contact a new publisher without loss of our data. We don&apos;t wish to restart from scratch, or play in less suitable regions. Let&apos;s continue our Dragon Nest experience together!